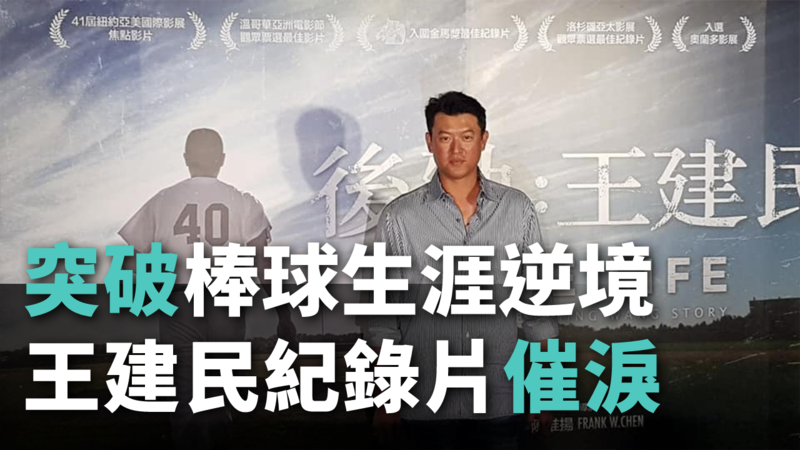 A documentary film of Taiwanese Major League pitcher Wang Chien-ming will soon be released in Taiwan. Wang is a former starting pitcher for the New York Yankees and one of Taiwan’s most celebrated sporting heroes. At the launch event of an accompanying book on Wednesday, Wang and the film’s director talked about their journey making the film. “Late Life: The Chien-ming Wang Story” tells the story of Wang’s struggle to get back to Major League Baseball (MLB) after injuries almost ended his career. The film also shows many heartfelt moments between him and his family members and friends. In 2005 and 2006, Wang led the Yankees to 19 wins and became the most winning Asian player ever. His career was later derailed by severe injuries in his hip and shoulder. After playing for several minor league teams and much rehab efforts, he made a return to the MLB, pitching briefly for the Kansas City Royals in 2016 and was later released. Wang said that he never liked the hype from Taiwan’s media and initially turned down the documentary project. But Taiwanese-Canadian director Frank Chen convinced him to show his real story to inspire a younger generation. Chen said that he followed Wang for four years and traveled more than 330,000 kms to record important moments in his life. He said he was touched by Wang’s persistence, and he hopes the film shows an authentic side of Wang as a person, not as a star. The documentary received a Golden Horse nomination earlier in November, and is set for release in Taiwan on December 14.